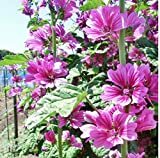 Malva sylvestris growing herbaceous of the genus Malva also known as High mallow, Malva sylvestris annual or biennial plant also used as ornamental plant, can grow in mediterranean, subtropical, desert or temperate climate and growing in hardiness zone 5-10. Flower color can be pink to purple or more than on color, the flowers small and grow next to knots. 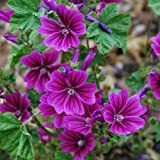 30+ Seeds of Malva sylvestris - French Hollyhock 'Zebrina'. 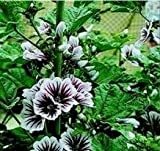 Edible & Striking striped blooms! 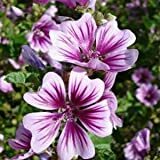 Pink or purple flowers, the flowers small and grow next to knots. 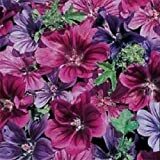 What can be done with big quantities of Malva sylvestris fruits?